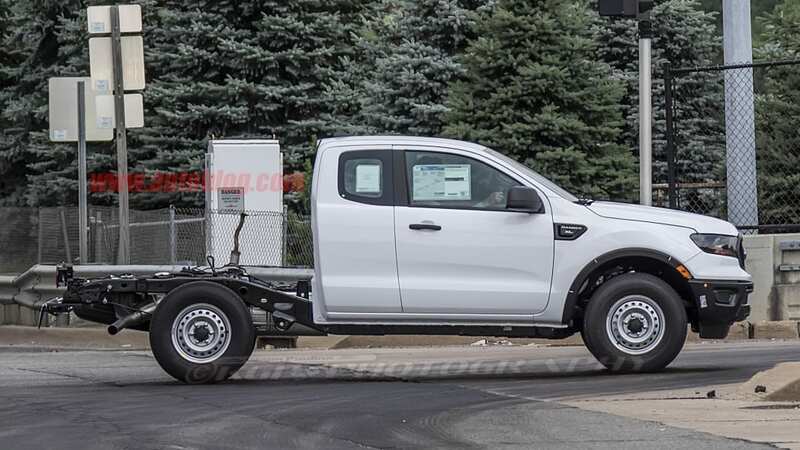 It appears the 2019 Ford Ranger won't just be marketed to regular consumers, but also to commercial buyers. 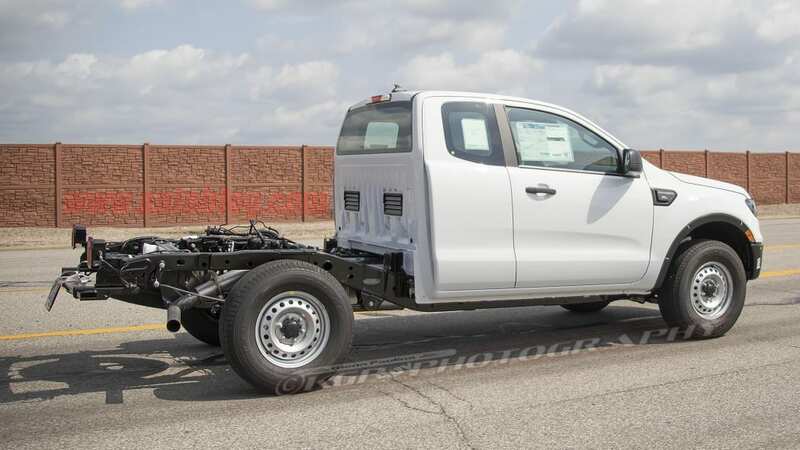 This is based on these spy shots of a chassis cab Ranger, one without a truck bed. The truck is completely uncovered, and it even has a Monroney window sticker. The truck is in bare-bones XL trim. This is evident by the black plastic bumper, grille, and plain silver steel wheels. 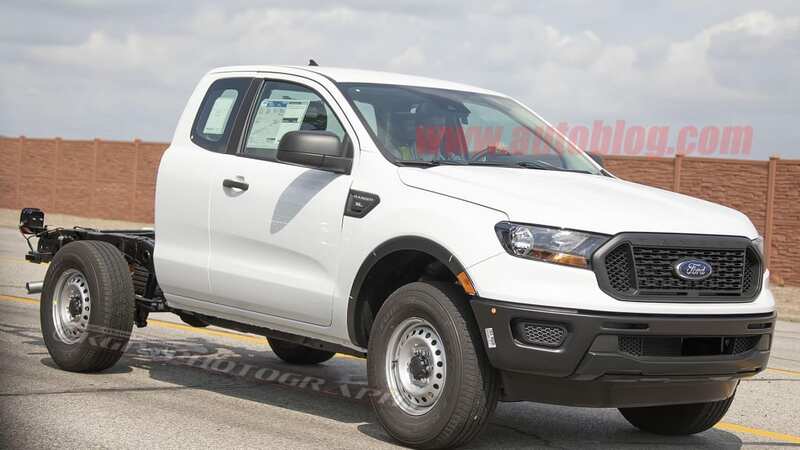 The whole body looks just like what you could get on a regular consumer-grade Ranger. The only difference is that the bed is gone, leaving bare frame and components. Some generic trailer lights are pinned to the rear to make it legal to drive on the street without the bed. 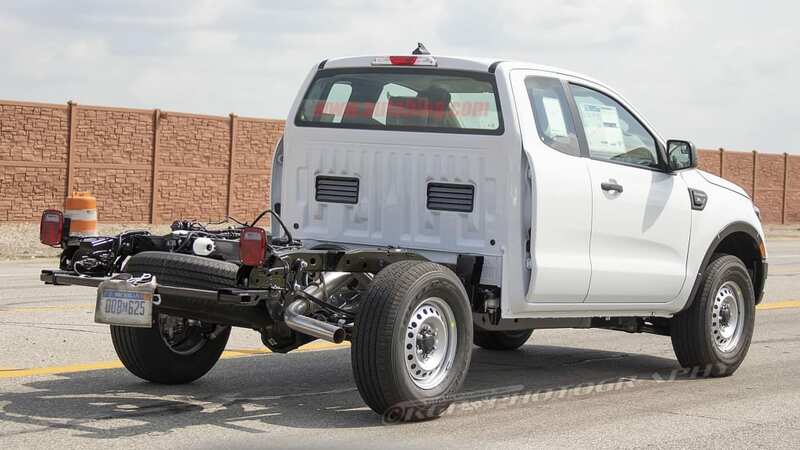 Of course the final buyer of a truck like this will fit some sort of custom cargo solution, say a utility box or a moving van-style container. 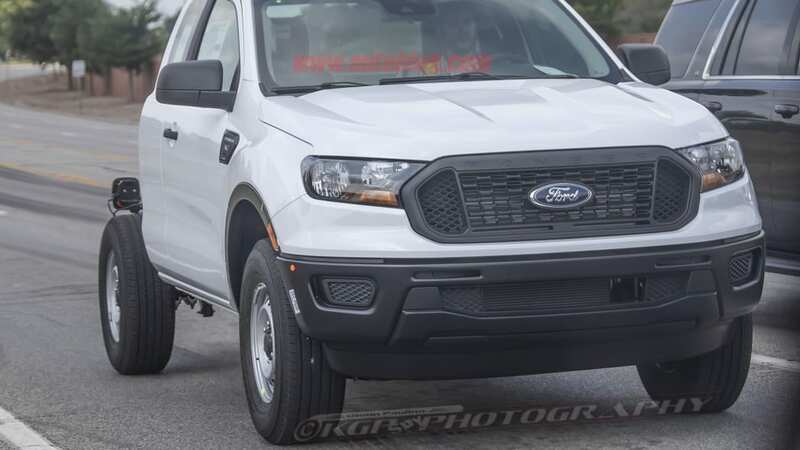 The fact this has a window sticker makes us think Ford will be selling these very soon, likely alongside the consumer Ranger rollout, or just a little while after. 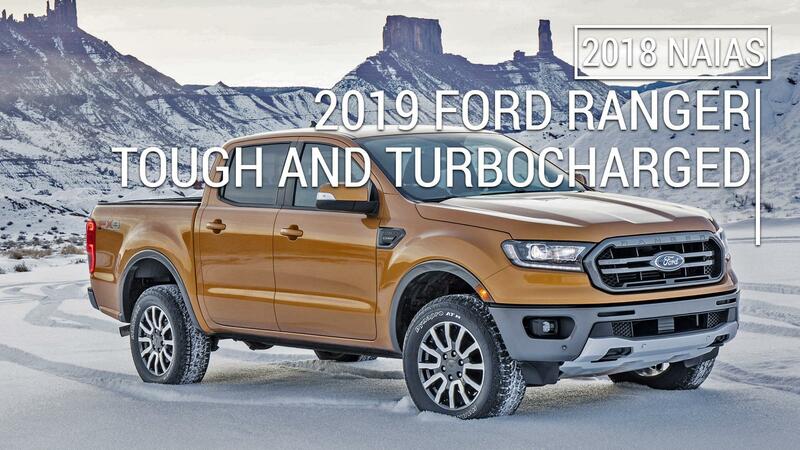 For simplicity's sake, Ford will probably only offer this with the same 2.3-liter turbocharged four-cylinder that the rest of the Ranger lineup will use, plus the 10-speed automatic transmission that's proliferated to the F-150 and Mustang GT. 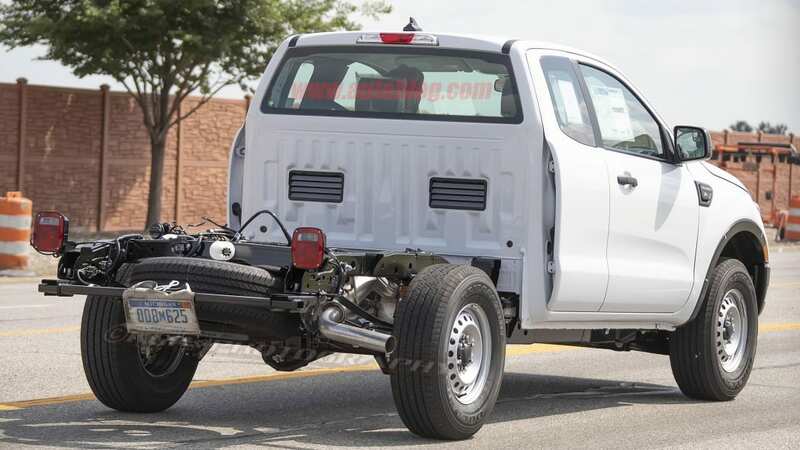 Specifications for the engine haven't been revealed yet, but Ford says it will have class-leading torque, meaning it will have to be around 280 pound-feet at least. Horsepower has the potential to be impressive, too, since versions of the engine are used in the 320-horsepower Mustang EcoBoost and the 350-horsepower Focus RS.